the green comes into to play if the bunker does not do its job. Carefully placed bunkers for the less well off golfer protect the lay up landing area whist two bunkers protects the front left and right of this large inviting green. A water hazard right back will digest the less than accurate approach shot. The large green has subtle slopes, masked by a general slope from right to left and back to front. An easy green to three putt at the best of times. 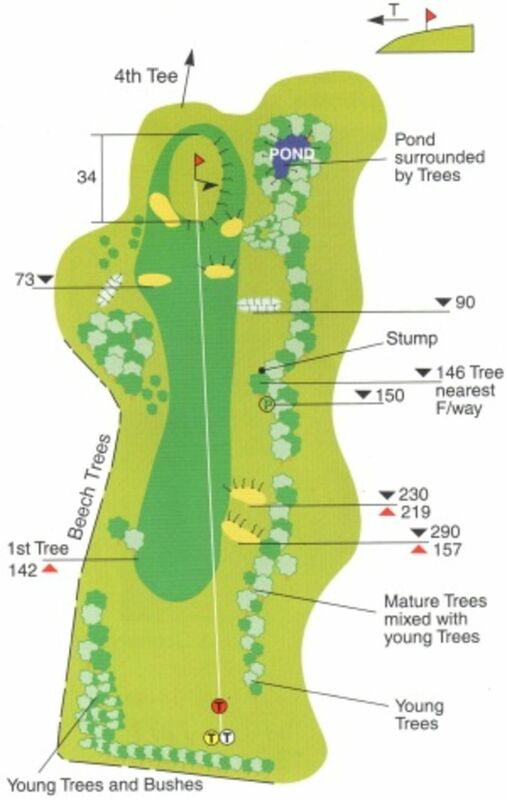 The prevailing wind is usually against the direction of play making this hole a very demanding challenge to card a good score.